Hansaton, a new contender in the hearing aid scene, brings you innovative ‘Sphere’ technology with the Sound SHD 3 model. 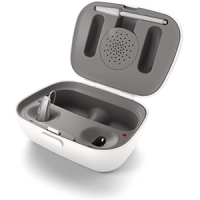 Encompassing 8 channels and 3 programs, this hearing aid is available in three battery sizes, dependant on the performance class that best suits you, as well as your degree of hearing loss. Coated in a plasma covering, this device is able to repel all material from within the ear, such as wax, moisture and dirt. 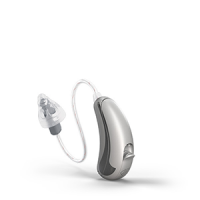 This Hansaton model features ‘Sound Supervisor’ and ‘Sound Optimiser’ technologies, which builds a bridge between your hearing aids and the noise environment surrounding you, for optimal hearing outcomes, providing both clarity and comfort. The 3 model suits conversational settings, both quiet and noisy, however performs optimally in quieter environments, suiting those with a more relaxed lifestyle. Both feedback management and wind block systems act to further enhance the sound you will now hear flawlessly with this device. Available in 8 colour variations and able to fit 6 various accessories, there is no limit to the personalisation that can be made to your Hansaton Sound SHD 3 hearing aids. The ‘Conversation Lift’ platform enables an improvement in the signal-to-noise ratio, via the combination of directional microphones and specific noise suppression, to enhance speech outcomes. Additionally, ‘Sound Restore’ makes high-frequency areas of speech easier to process, making sounds that would previously be inaudible, be able to be heard clearly. Hansaton has also kept synchronisation at the forefront of their minds, with ‘BiLink’ and ‘BiPhone’ technologies. ‘BiLink’ acts to ultimately coordinate the individual microphones from both hearing aids, so volume and program settings are altered equally, to avoid fiddling and fidgeting. ‘BiPhone’ is an extension of this concept, by taking phone connectivity and allowing the transfer of the callers’ voice to be distributed to the non-phone ear, improving the flow of conversation and increased speech intelligibility for the wearer. In comparison to the Hansaton Sound SHD 5 model, classified as being more advanced, there are the same number of programs featured on both devices, an a mere 4 channel difference between them, limiting any comparison regarding hearing loss specificity. A majority of the same technological platforms are featured across both models, posing the question of ‘Why pay more for the model 5 when the model 3 compares so strongly? By and large, the Hansaton Sound SHD 3 model delivers on many forefronts, to allow those with a more limited budget and subdued lifestyle to experience a high end hearing outcome.